This is sponsored by Bubs Australia. I’ve spoken before about Boo’s allergy problems and her sensitive skin conditions. Many of you have children that are the same and I can totally really relate to the challenge. It’s so tough. For us, it was clear from when she was about 6 months of age that we needed to find an alternative to cow’s milk for Boo as her little body would react in a way that made her uncomfortable and with hives. It wasn’t good. Obviously my concern was how I’d give Boo the nutrition of cow’s milk, but without the cow being involved. 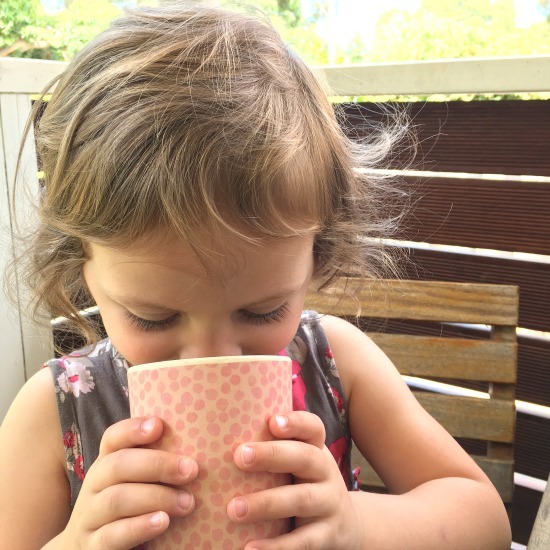 As a result, we tried a few different types of milk, all with varied degrees of success, but it wasn’t until a friend mentioned to me about her child enjoying the Bubs toddler goat’s milk, I thought we would give it a try. I have to admit, Boo took too it really quickly and will ask for it often. I like to shake it up and serve it to her in a cup, because apparently that’s what ‘big girls do’. It’s different, but it’s working for us. 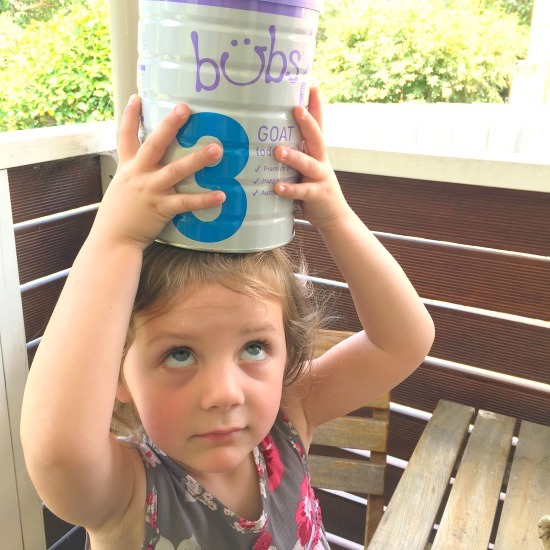 What I’ve learnt about Bubs toddler goat’s milk is that is really made with easy digestion in mind. It’s a nourishing, delicious and gentle alternative to cow’s milk based products. It can also be well suited for children who have sensitive tummies, allergies, digestive issues and skin conditions. 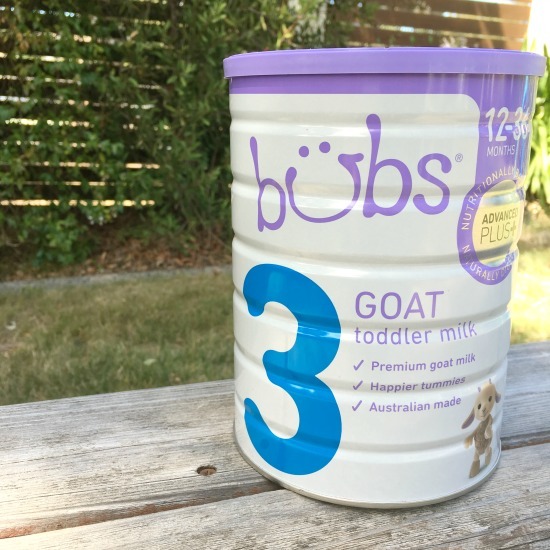 The Bubs Toddler Goats Milk is available to buy at Coles, Big W, Costco and selected pharmacies. Boo particularly likes the adorable new design on the tin, so have a look next time you’re in one of those stores. 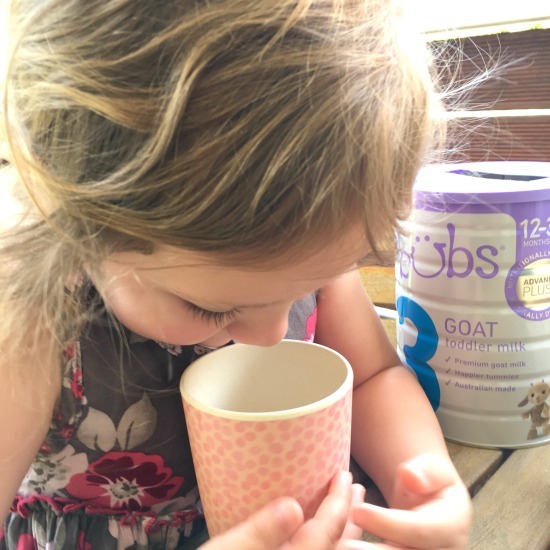 If your feeling that your regular milk could be upsetting your little one’s tummy or has them out of sorts, then it might be worth considering a switch over to Bubs toddler goat milk. It really has been helpful to us. Have you tried goat milk with your child?